Innovation has been the main keyword that has dominated the past decades with digital electronics slowly replacing the analog variant of the same device. This is also true for professional medical equipment which has become easier to manufacture more accurately and less expensive. Digital oximeters are very useful tools to have for people who suffer from lung disease, asthma and other conditions that cause blood oxygen levels to drop. These devices are non-invasive and easy to use, making them perfect for home users. With close-to-instant, reliable metrics, this is an invaluable tool to have for patients. Additionally, any sports enthusiast can make use of such a product. Mountain climbers and hikers will find it especially useful since oxygen tends to be thinner at higher altitudes which reduce the athlete’s intake. TempIR is a manufacturer that’s versed in personal healthcare products like first aid kits, baby thermometers, and dental hygiene kits. With the quality customer service and vast manufacturing experience they possess, they’re an ideal brand to be active in the home health monitoring devices. The TempIR Portable Digital Oximeter is a very good, consumer-friendly oximeter. It’s easy to set up and use, comes with batteries and a carry pouch included which show that the manufacturer has gone that extra mile for their potential clients. With FDA approval, the TempIR Portable Digital Oximeter provides accurate readings, but not as quick as it should. While it’s a very functional device, users must adapt to its somewhat high time of adjustment which requires around three to four minutes to provide accurate readings. That being said, this isn’t such a big drawback since users are still able to get accurate blood oxygen levels and pulse readings. Moving on to design, it’s nothing to frown about. While it is on the bulkier side of things, it does come with all of the required features and accessories that one would expect: a bright and easy-to-read OLED display, AAA batteries that come included, and a useful carry pouch to fit its rugged form factor. Sturdy ADS plastic has been used in designing the outer case, making it both lightweight and durable. The only flaw is the battery lid which isn’t as durable as the whole body. Nonetheless, this is something that anyone can overlook and fix with proper device handling. Uncomplicated and easy to use, TempIR Portable Digital Oximeter is a real asset for anyone who needs constant monitoring and care. The OLED display is very bright and easy to read which is something that’s especially useful for seniors. The display measures blood oxygen levels and heart rate in both graphs and numerics, so reading it wrong is nearly impossible. While the TempIR is clearly a winner when it comes to oximeters, the market is vast and filled with other good products. So how does it compare when put on the spot? 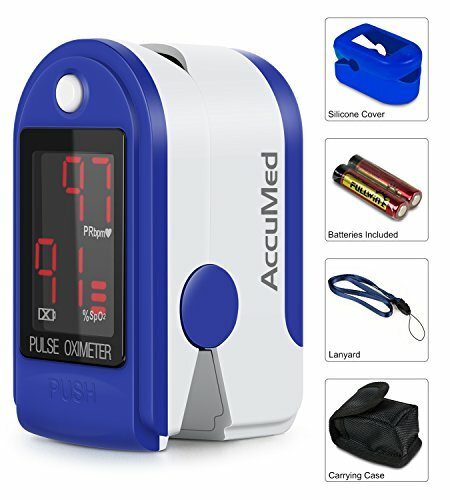 For this reason, the next product that’s going to be discussed is the AccuMed CMS-50DL Pulse Oximeter. Similar in both price range and features, users are bound to stumble upon this alternative product during browsing sessions—it’s inevitable. But how well does the AccuMed CMS-50DL Pulse Oximeter fare when put against the TempIR, the featured product of this piece? To be blunt, they’re not that different. They both provide the same amount of functionality and a very similar set of features. Both have some drawbacks and strengths. For example, the TempIR product provides more accurate readings, but it takes a bit more time to reach the correct result. In contrast, the AccuMed item is swifter, but not as precise. While this is a decision that is best left to the user, the smarter choice would be to go for the TempIR oximeter, since accuracy, in this case, is more important than speed. 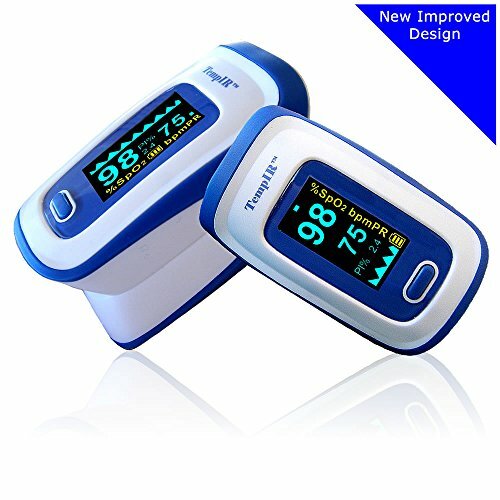 The TempIR Portable Digital Oximeter has made a very respectable oximeter that is suited for recreational use. The build quality is decent, the readings are good enough, and the overall design makes it intuitive and simple to use. All in all, it’s a great product that is sure to make a lot of athletes and individuals out there reconsider their next move. Make sure to go through constant readings to get the best results for determining the best course of action. Keep in touch with a physician in order to determine what are the next steps towards recovery.